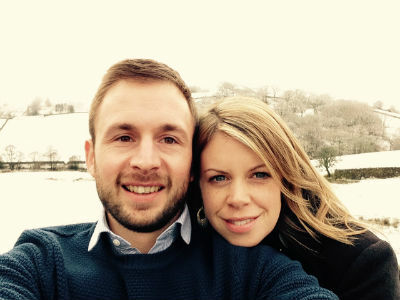 Our Alpha Courses are led by Ben and Kirsty Thomas (above) at Church of the Holy Spirit in Crawcrook. Come and join us for our Alpha launch meal on Tuesday 21st March at 7pm at Holy Spirit Church, Crawcrook. Our next Alpha course will begin from the following Tuesday (28th March) for the next 10 weeks. Alpha is for anyone who is curious. The talks are designed to encourage conversation and explore the basics of the Christian faith in a friendly, open and informal environment. Alpha is mainly for people who aren't churchgoers. The whole course lasts for 10 weeks, on Tuesday evenings, with an away day towards the end. Alpha always starts with a bite to eat, followed by a short talk looking at a different aspect of the Christian faith each week. Then you have an opportunity to ask questions and share your views. It’s based around small groups of about 10 people, hosted by friendly leaders who help encourage discussion and lasts for about 2 hours. Some join us to investigate whether God exists; others are concerned about what happens after death. Some want to explore what the purpose of life is. And you’ll get to know others during the course and deepen friendships. Why not give it a try? Jesus loves YOU! The Bible says in John 3.16-17 “For God so loved the world that he gave his one and only Son, that whoever believes in Him shall not perish but have eternal life. For God did not send His Son into the world to condemn the world, but to save the world through Him”. It’s all good news and true! You’ll enjoy refreshments and cake, a talk and afterwards a group discussion where you can ask any of those burning questions you may have had for years. Are YOU the one God is speaking to now? Please come along and make new friends. Find out more about the plans and purposes God has for your life. So have you ever wondered what life's all about? Remember, over 2 million people in the UK and 11 million worldwide have now attended an Alpha course, an opportunity to explore the meaning of life, running in tens of thousands of churches of all denominations across the world. Alpha is an opportunity for anyone to explore the Christian faith in a relaxed setting over ten thought-provoking weekly sessions, with an additional "Away day". We offer at least two Alpha courses a year and would like to invite you to come along and enjoy this exploration of the basics of the Christian faith! There’s good company and an evening meal provided, so you can meet and get to know other course members. The Alpha Course gives you an opportunity to ask those questions that you have always wanted to ask in a non-threatening environment. So many of the people who have been on the course have said ,"I wish I had done the course earlier in my life, it has given me a new understanding of why I am here on earth". The talks each week cover the following topics, which people are then free to discuss in the small groups afterwards. There's also a Day Away which covers: Who is the Holy Spirit? What does the Holy Spirit do? How can I be Filled with the Holy Spirit? How can I Make the Most of the Rest of my Life?